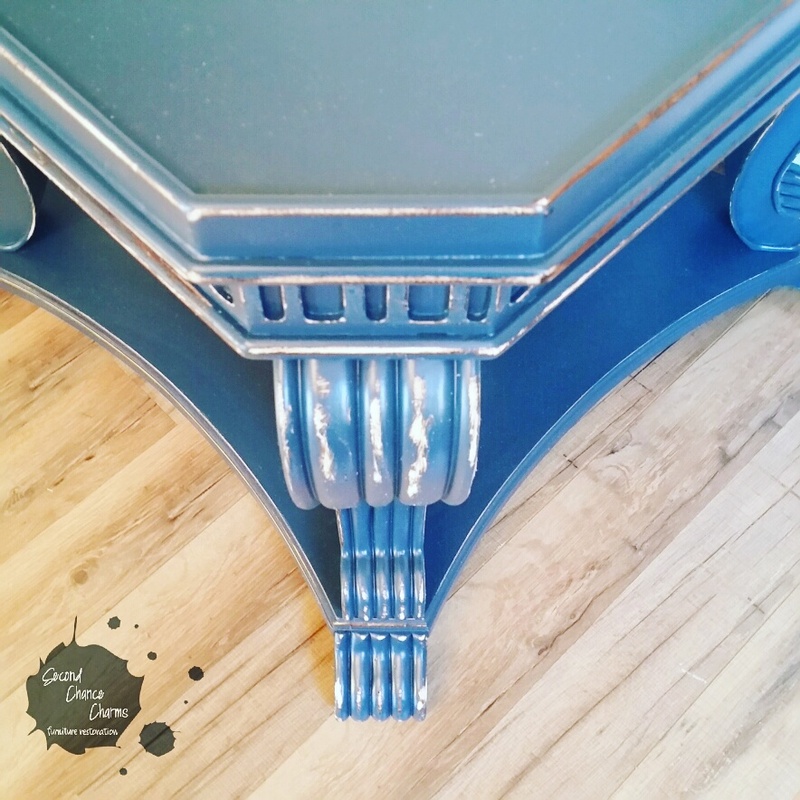 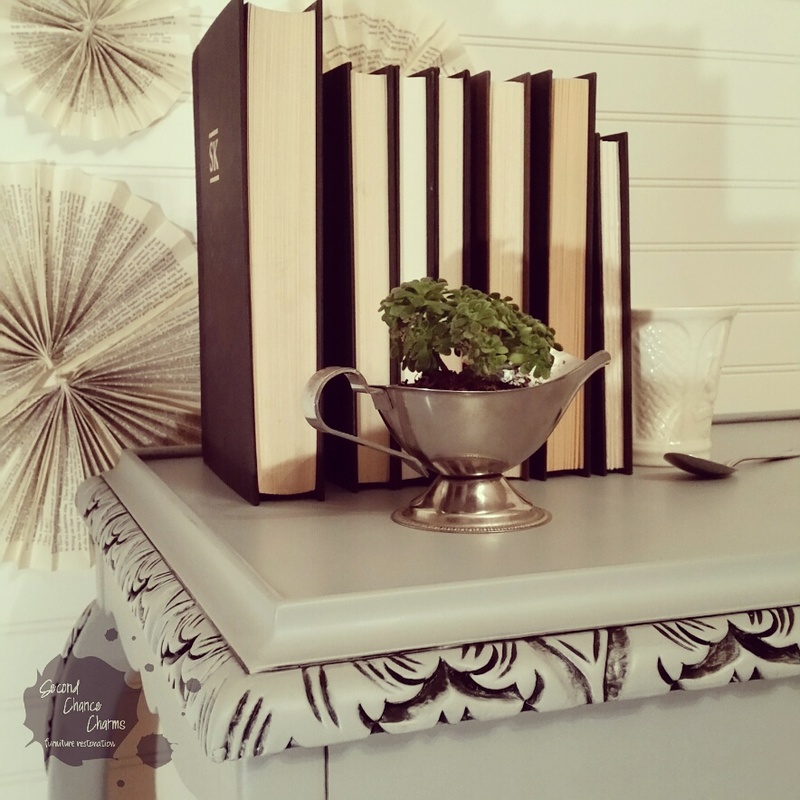 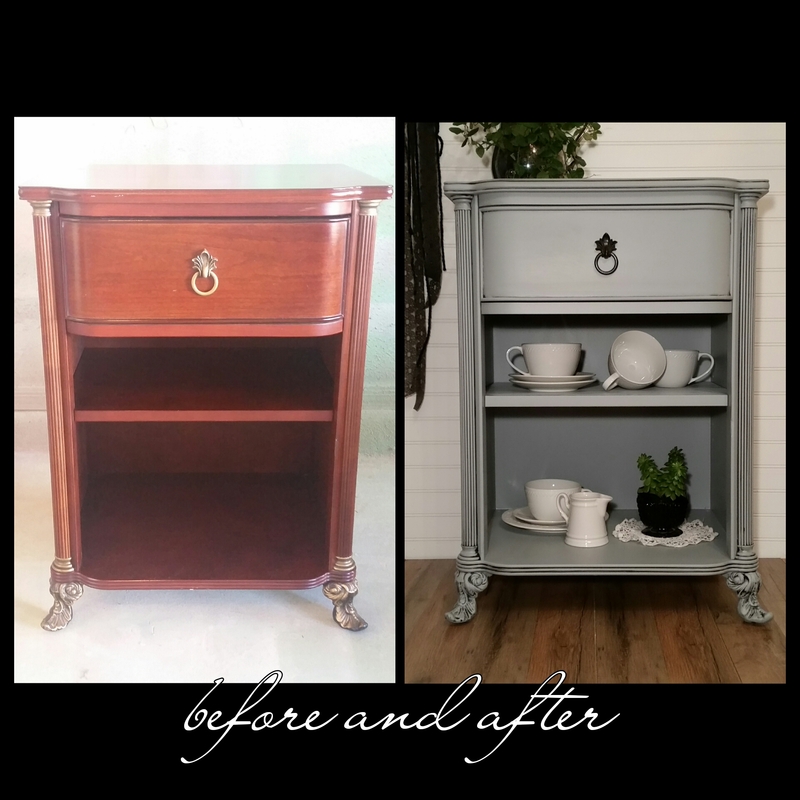 Beautiful nightstand refinished in Sherwin-Williams Network Gray and glazed in black. 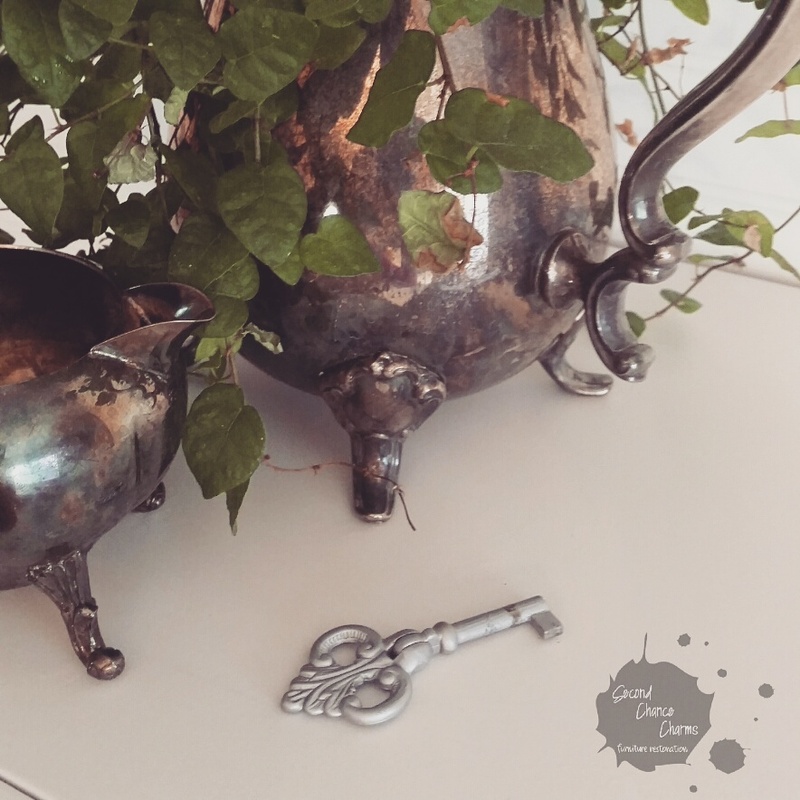 Hardware updated in bronze. 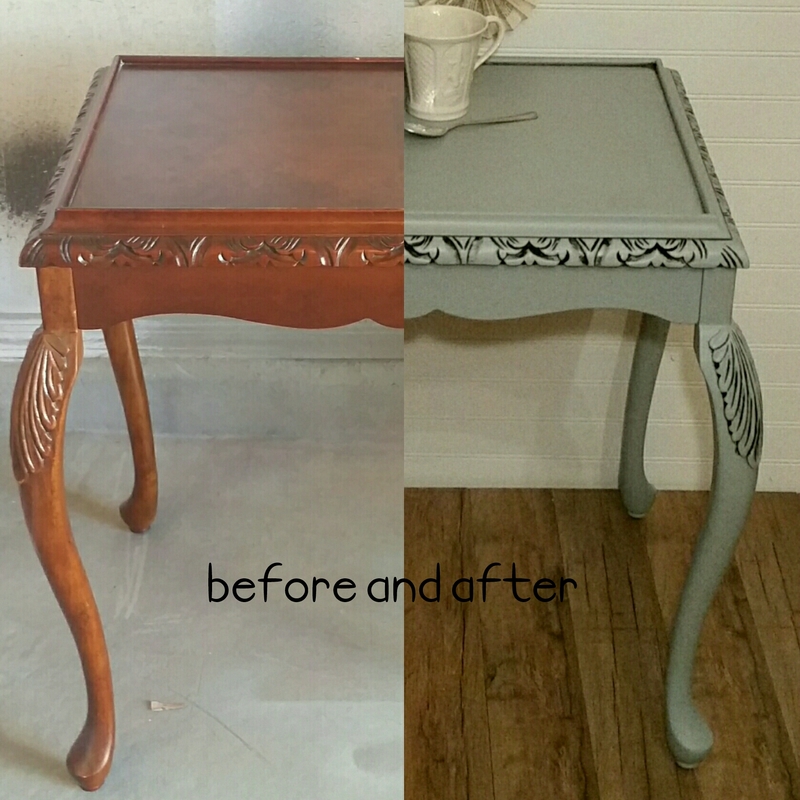 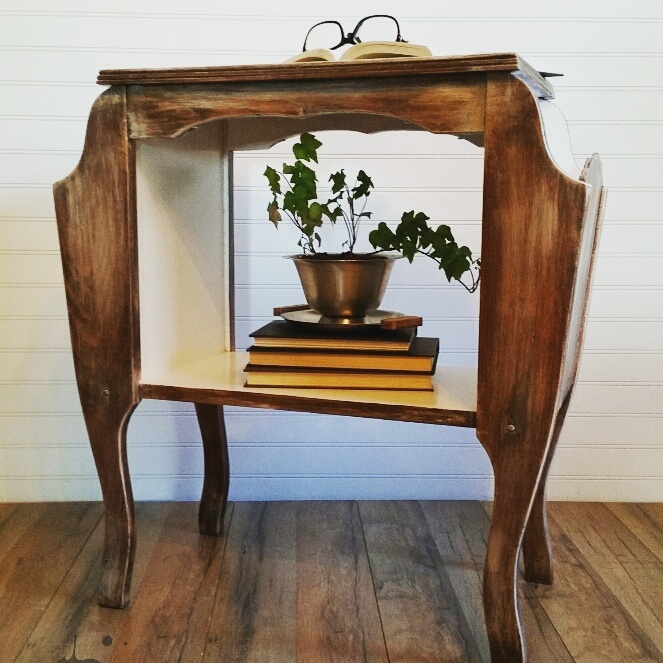 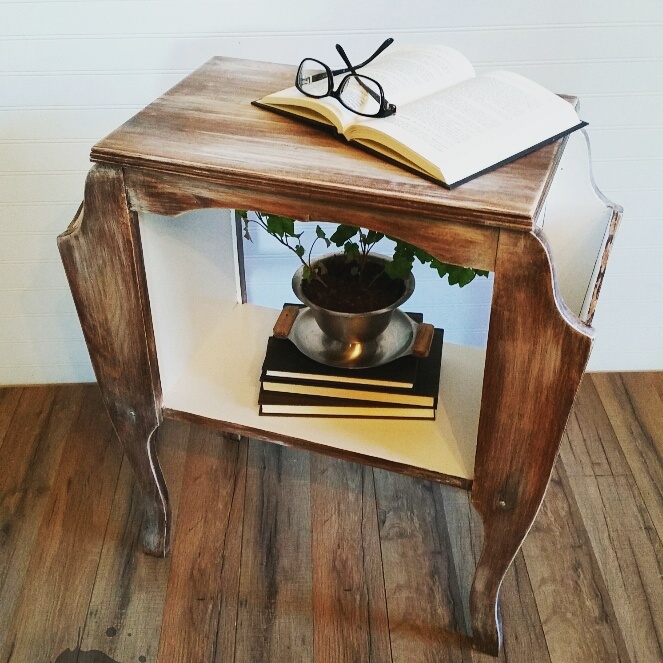 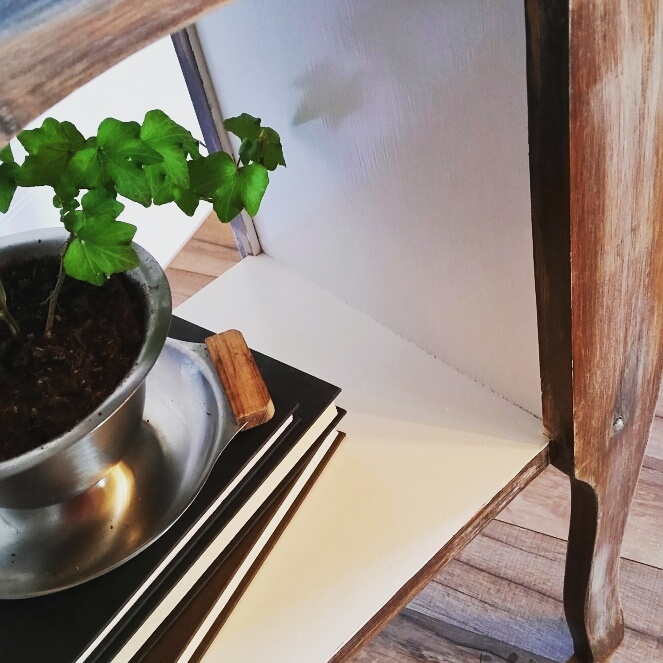 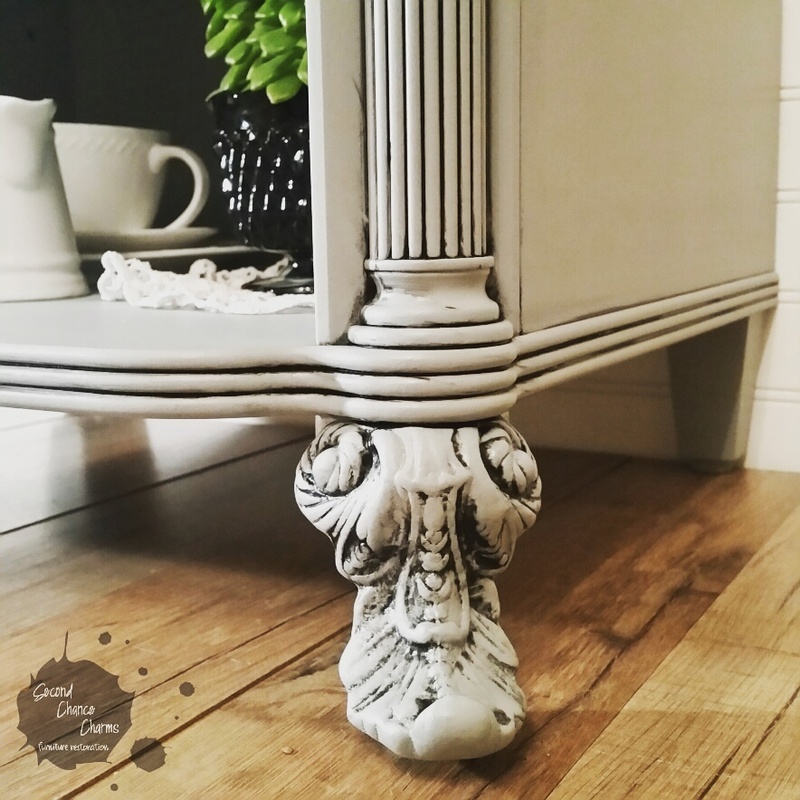 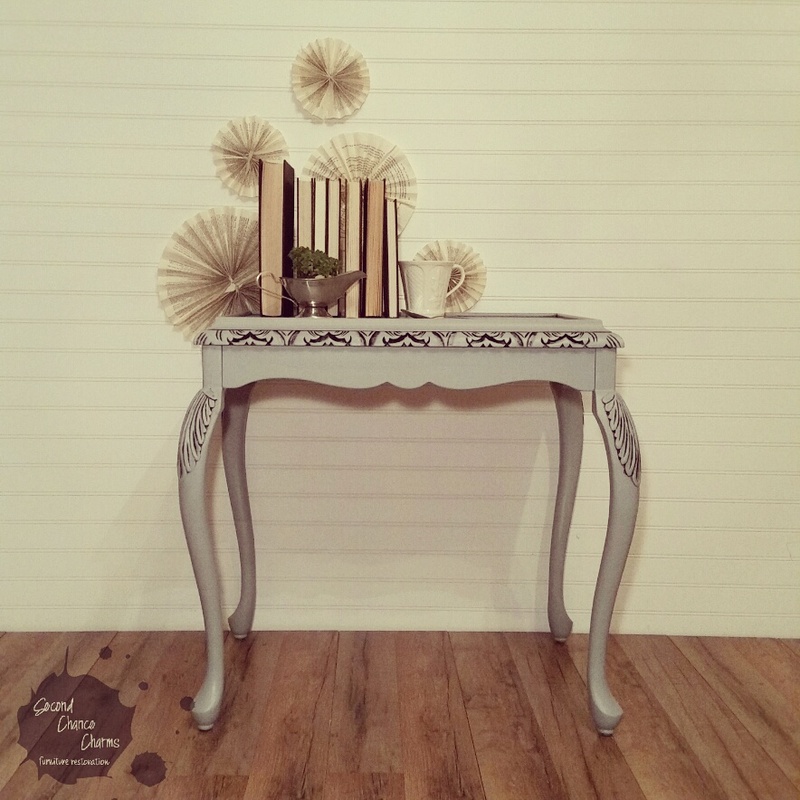 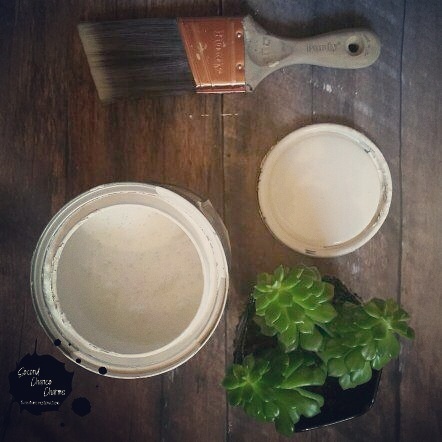 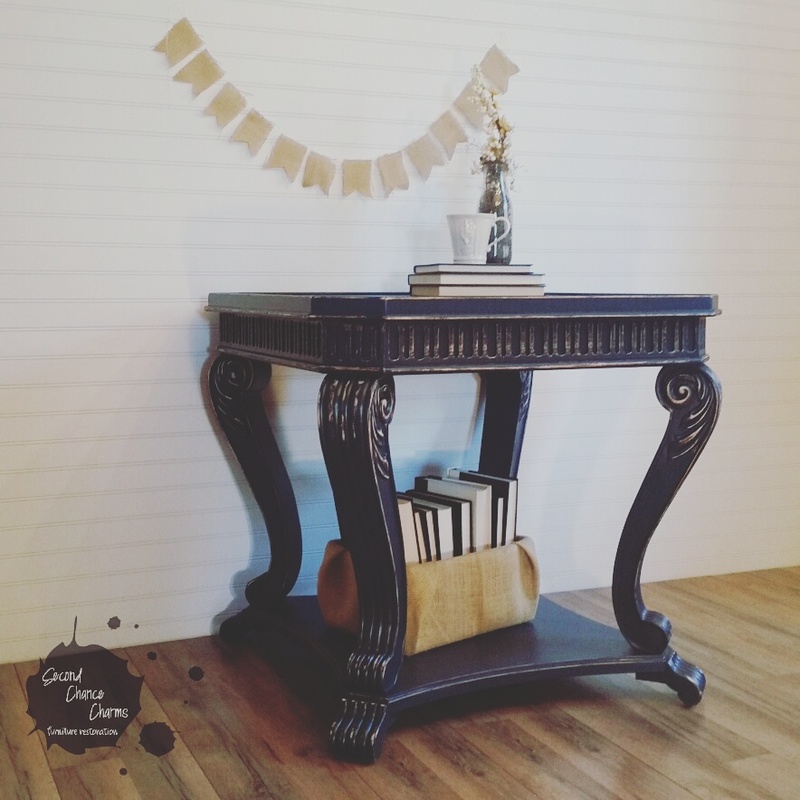 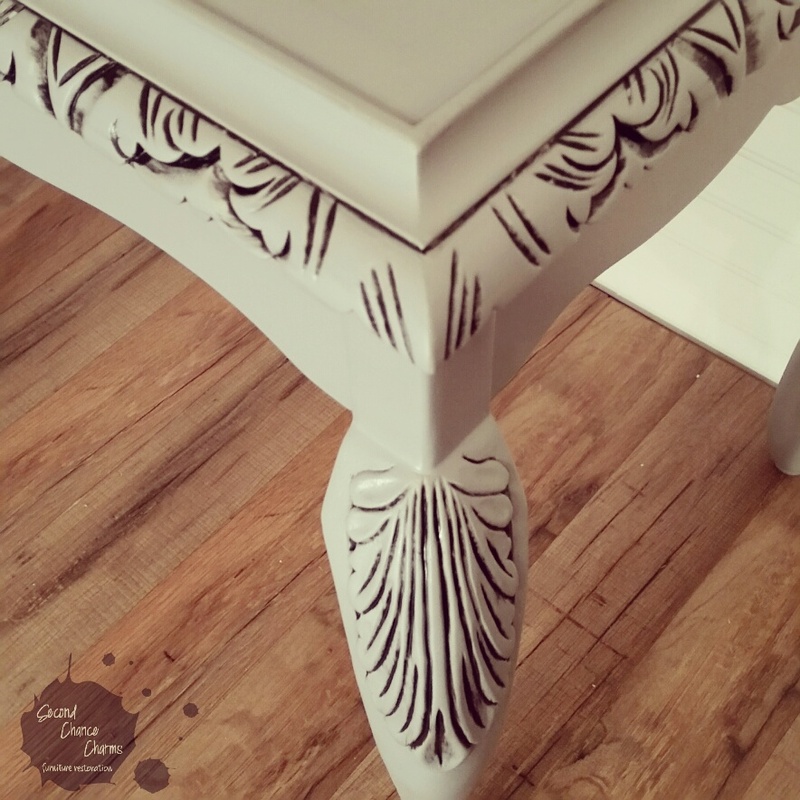 A bulky end table was previously refinished distressed was ready for an updated look in glaze! 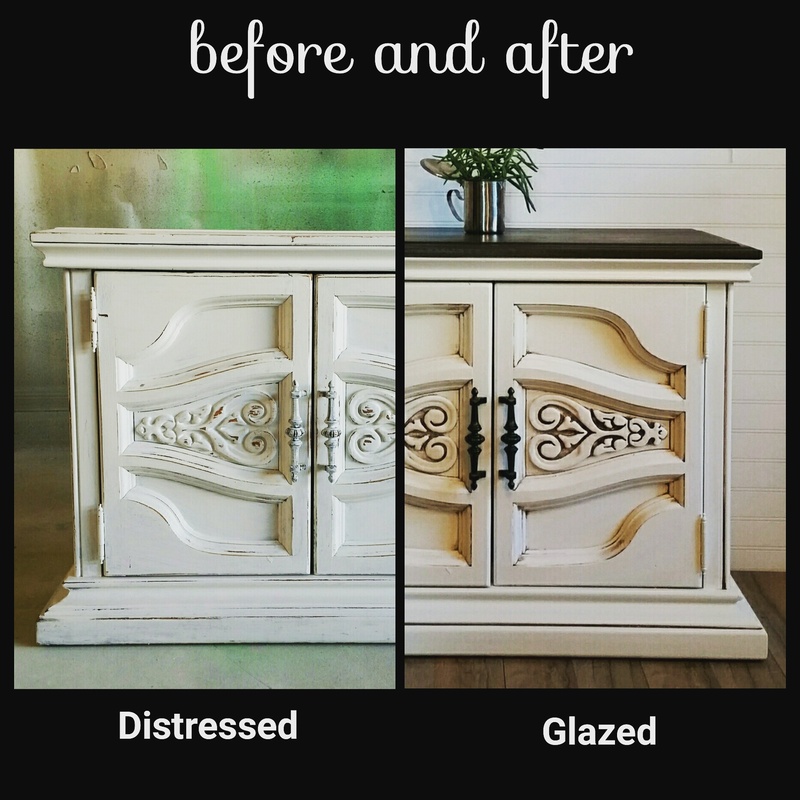 Refinished in Sherwin-Williams Dover White and Glazed in brown. 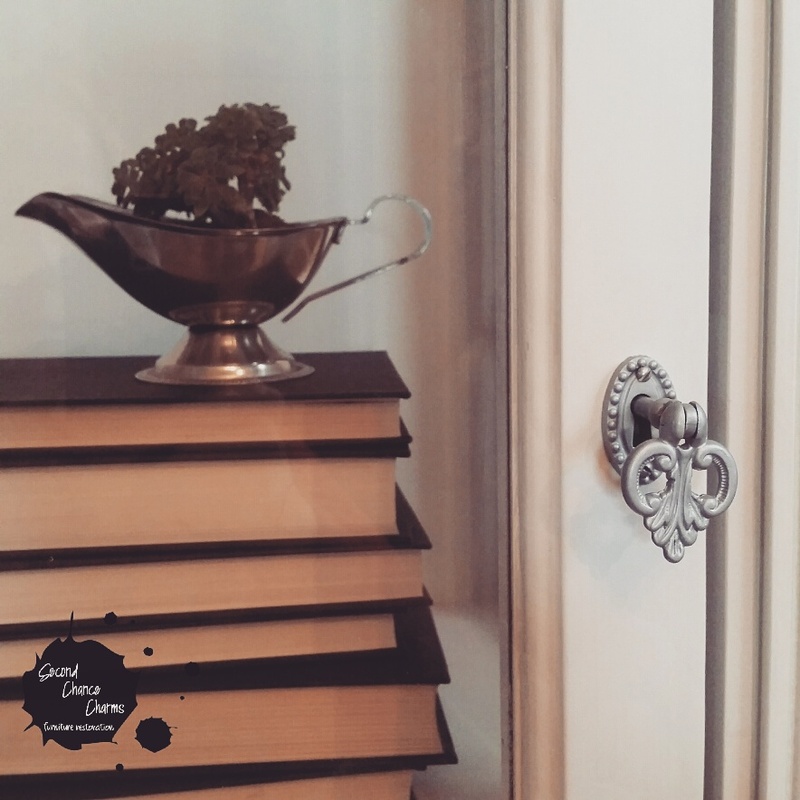 Hardware updated in bronze. 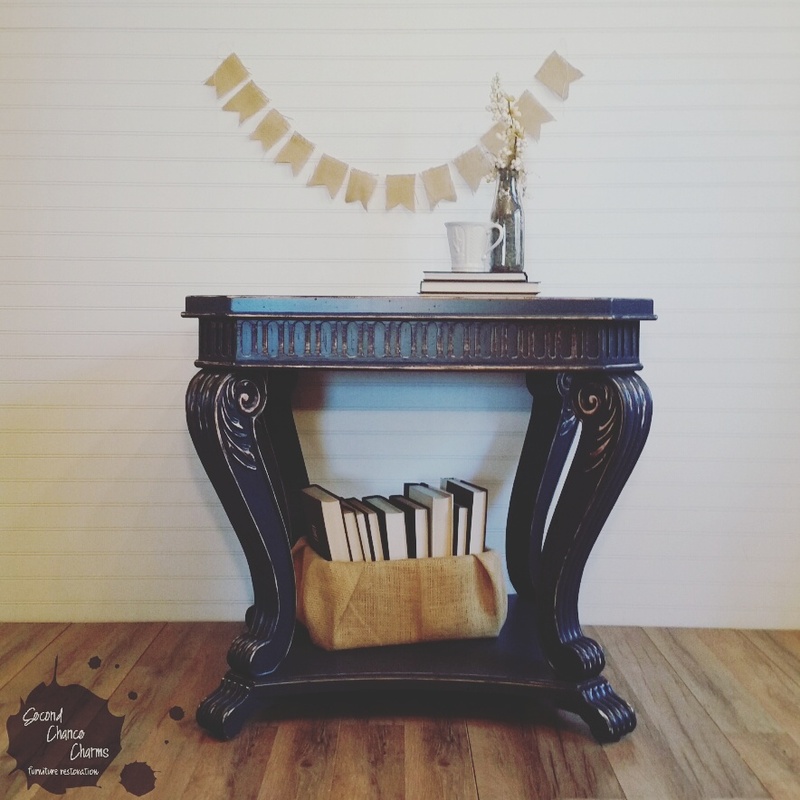 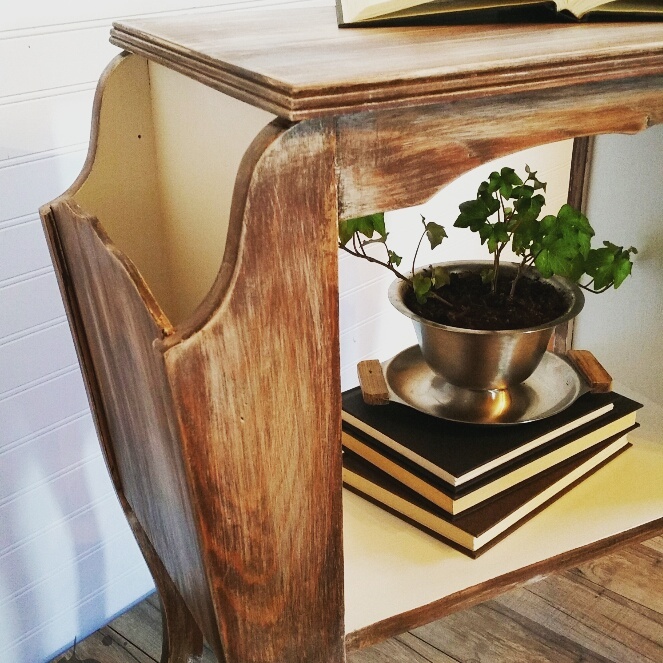 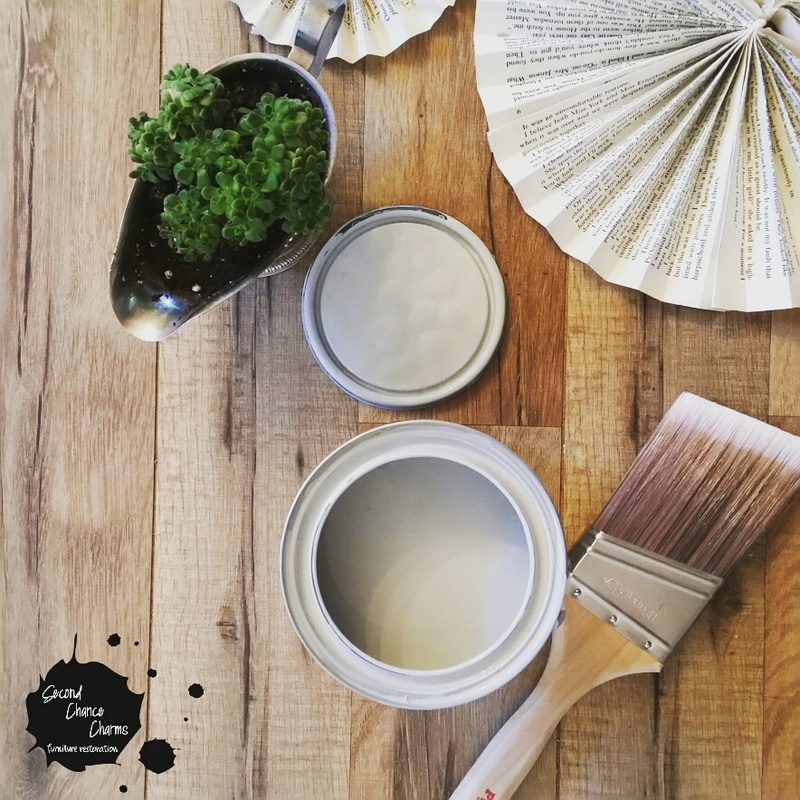 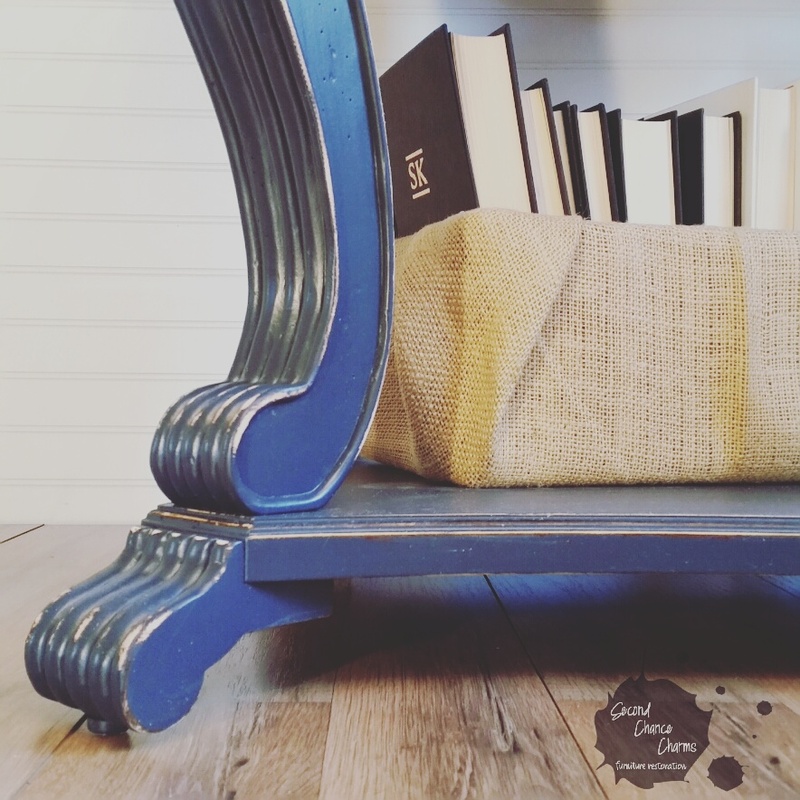 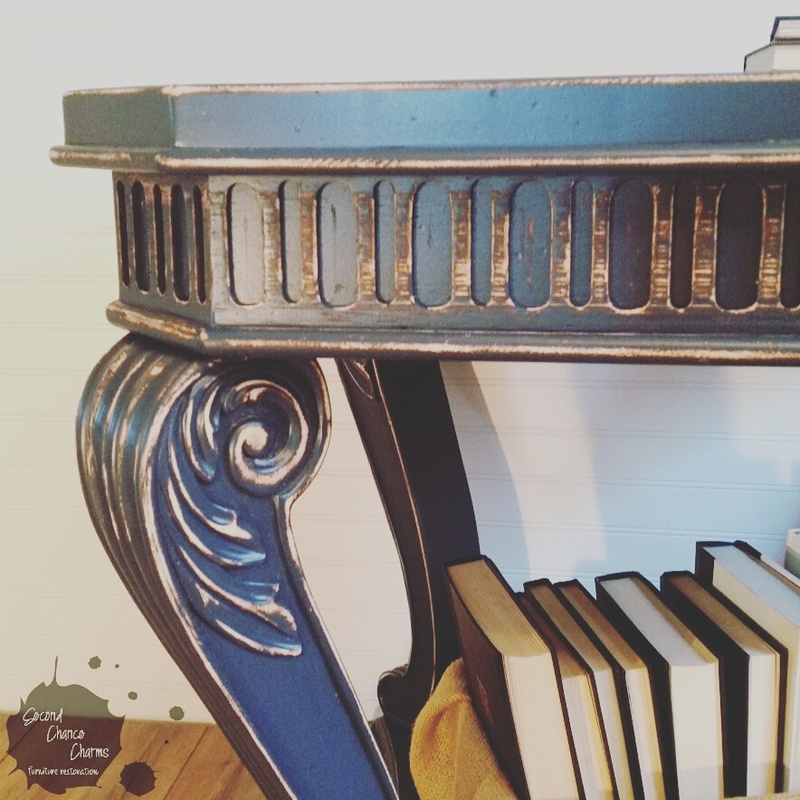 In love with this magazine side table refinished in Sherwin-Williams Snowbound and stained in a weathered look using paint and stains. 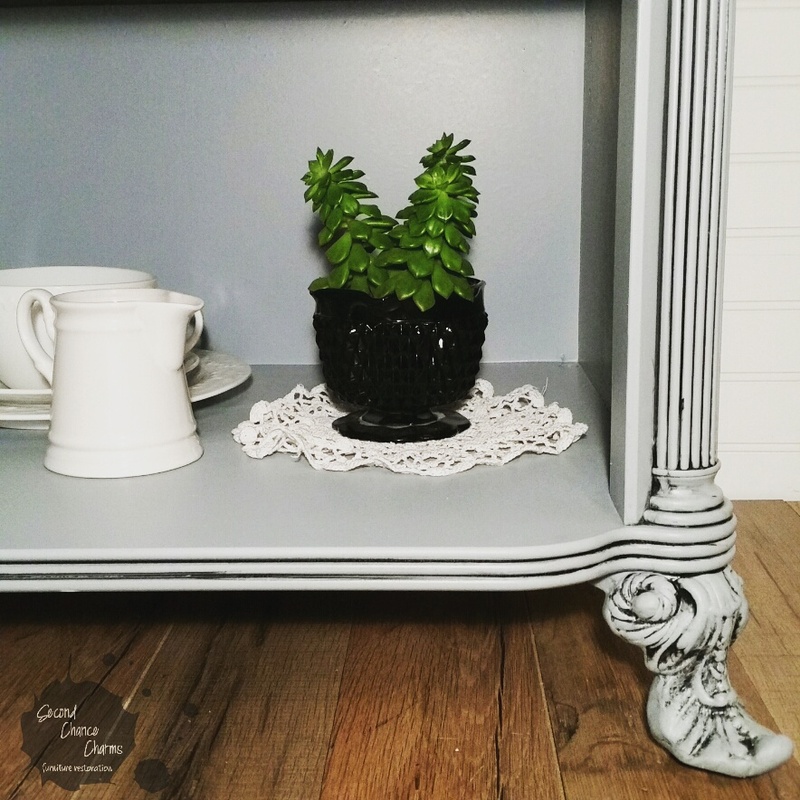 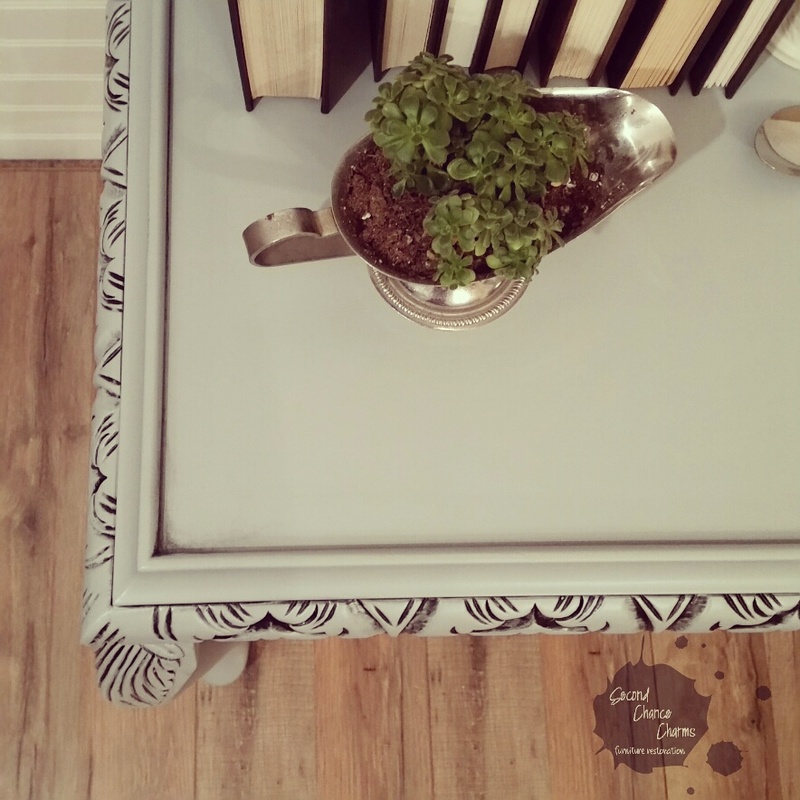 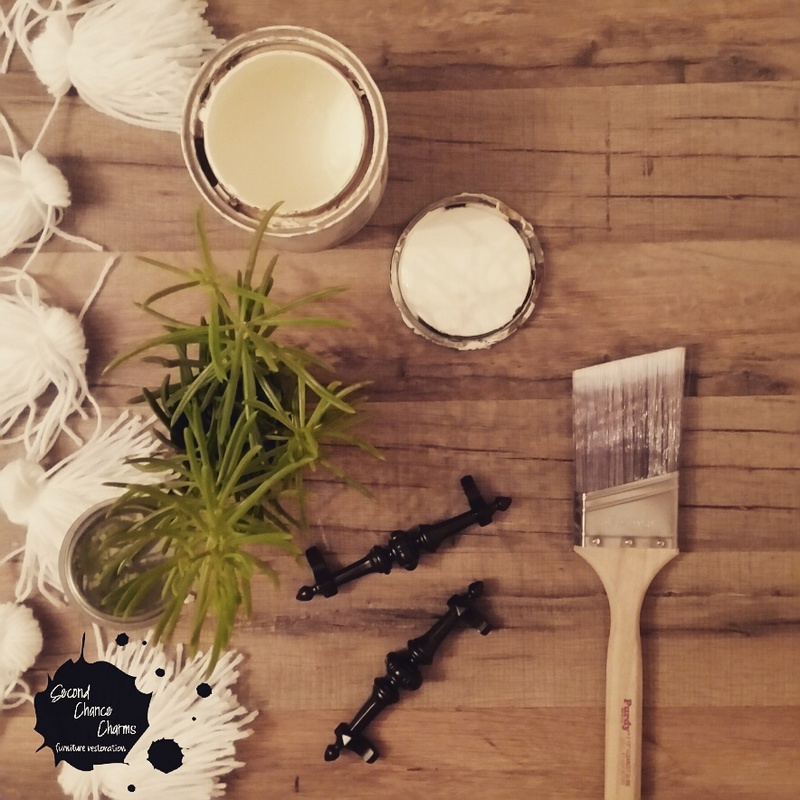 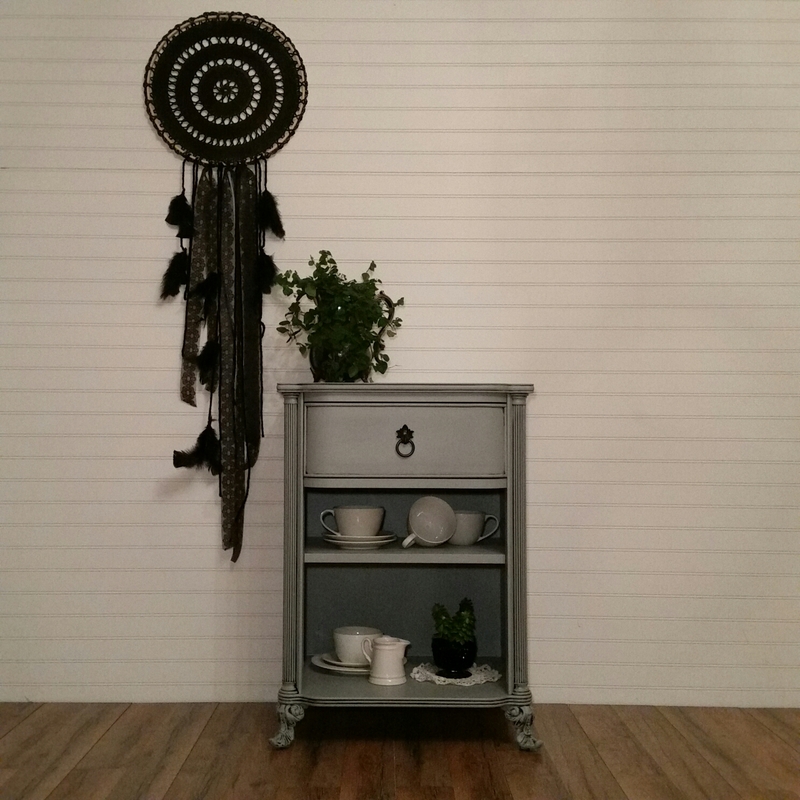 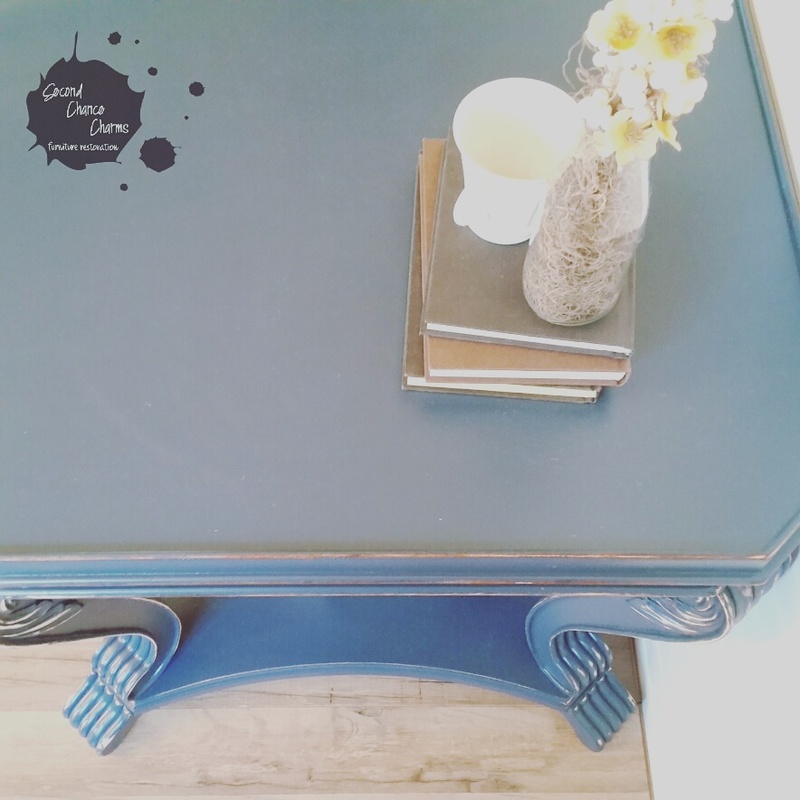 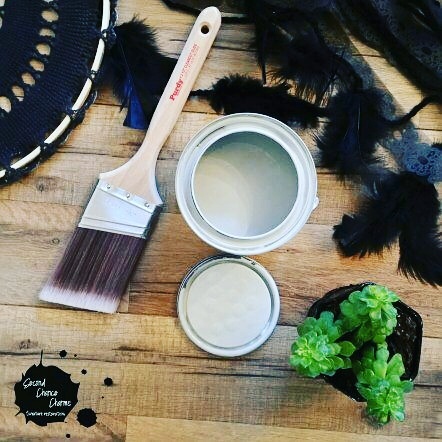 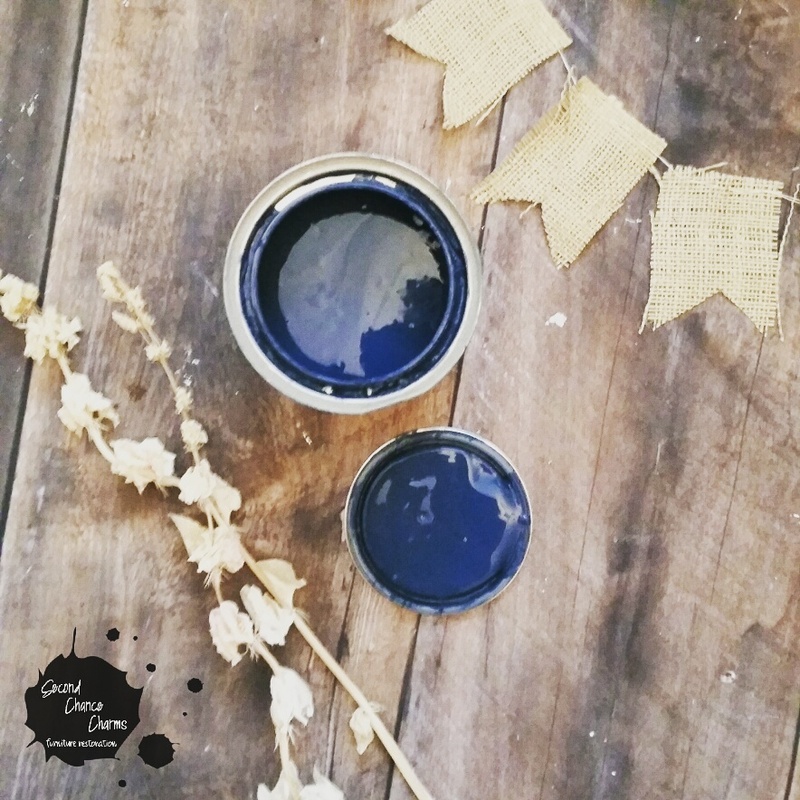 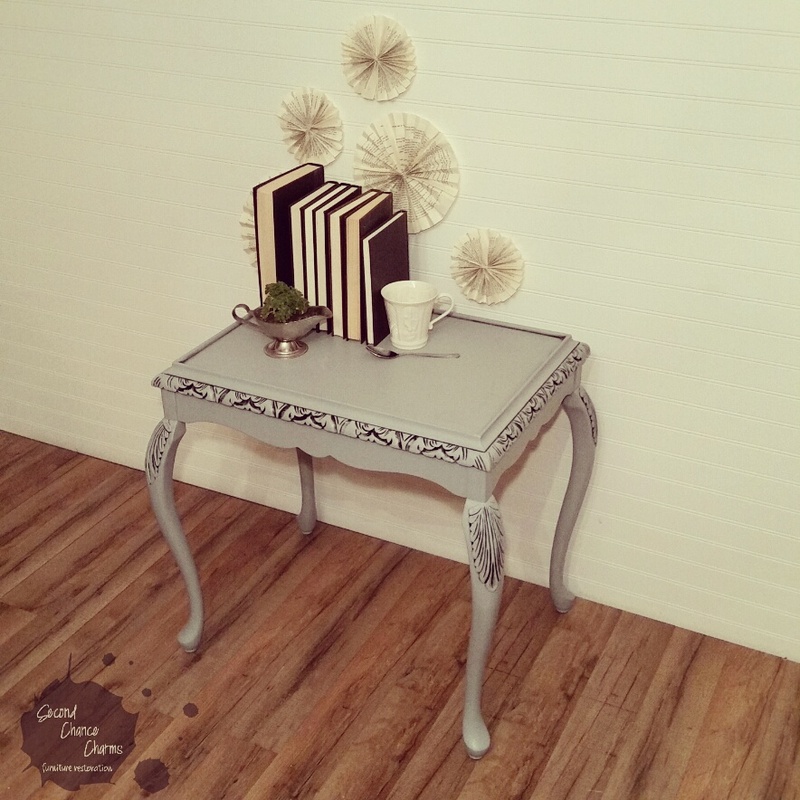 A dainty little side table refinished in Sherwin-Williams Network Gray and glazed in black. 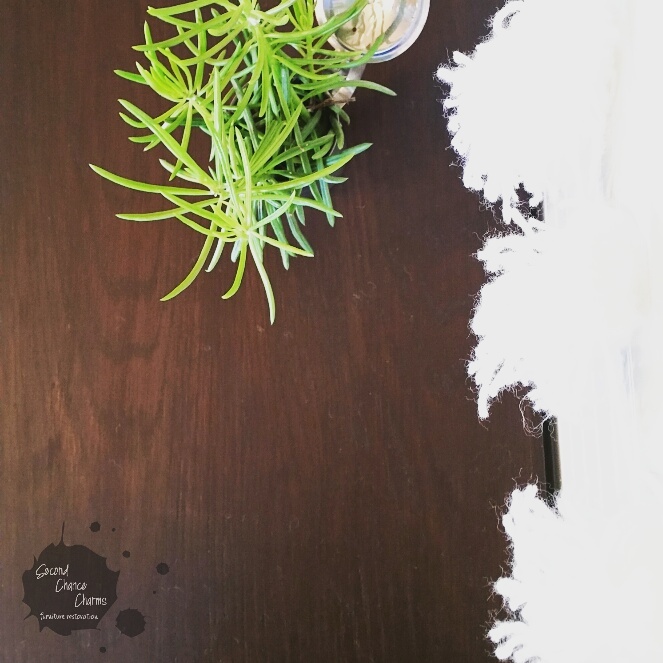 Two combos that can NEVER go wrong!!! 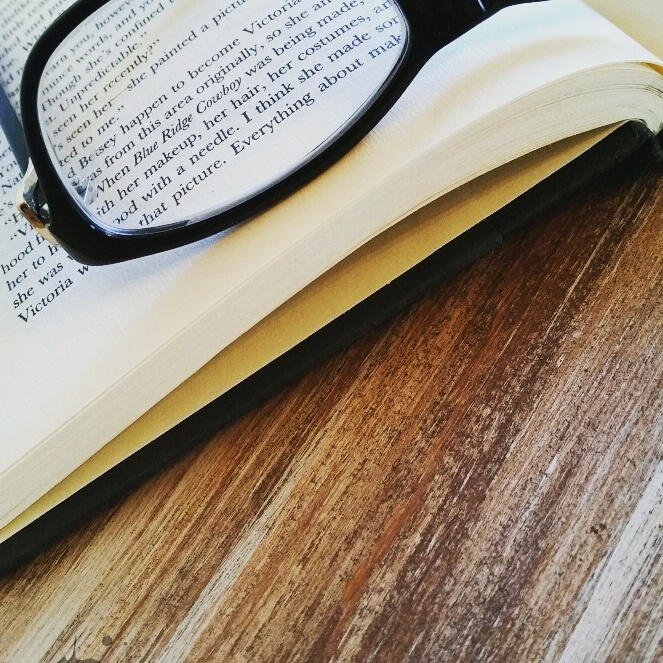 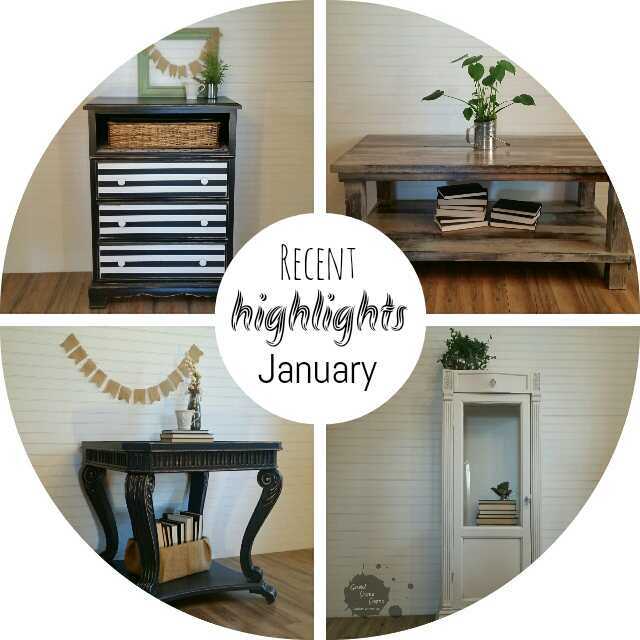 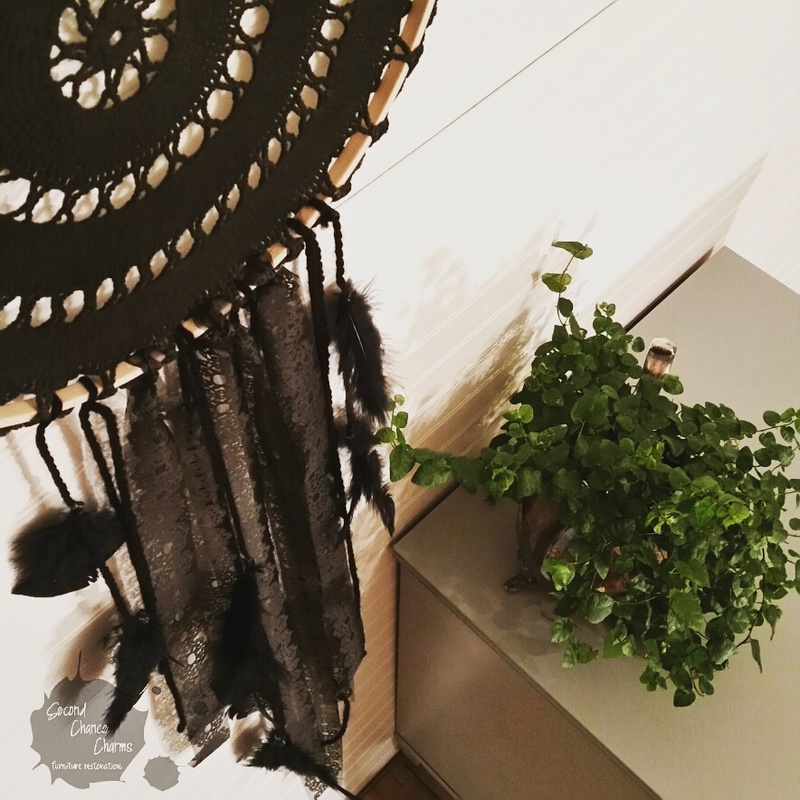 Recent highlights in January. 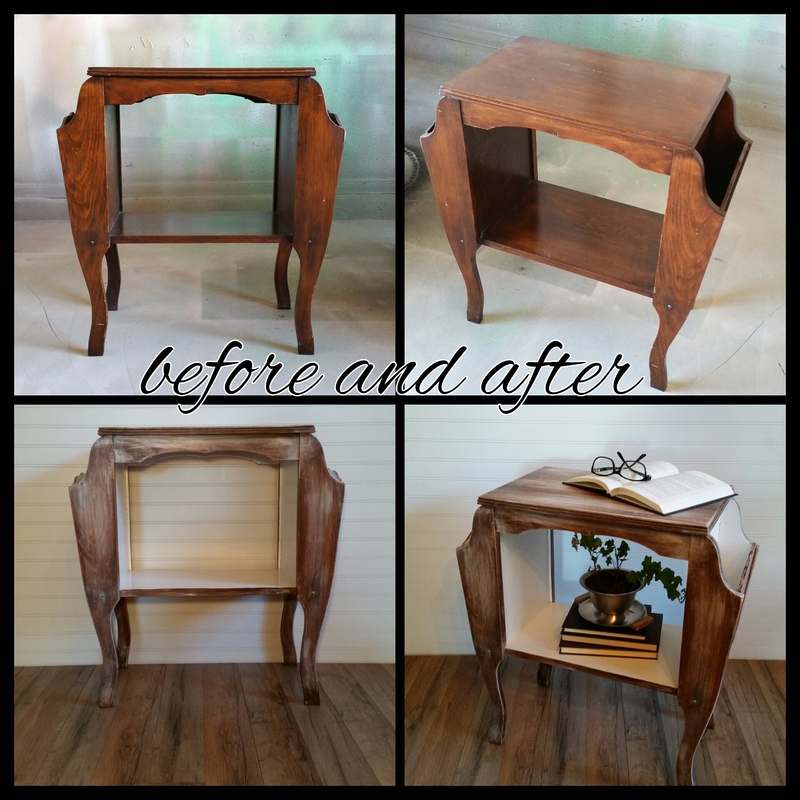 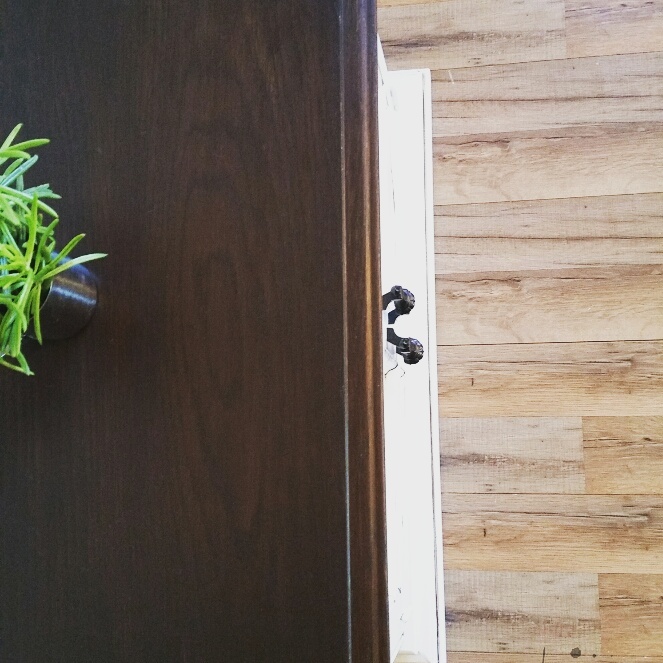 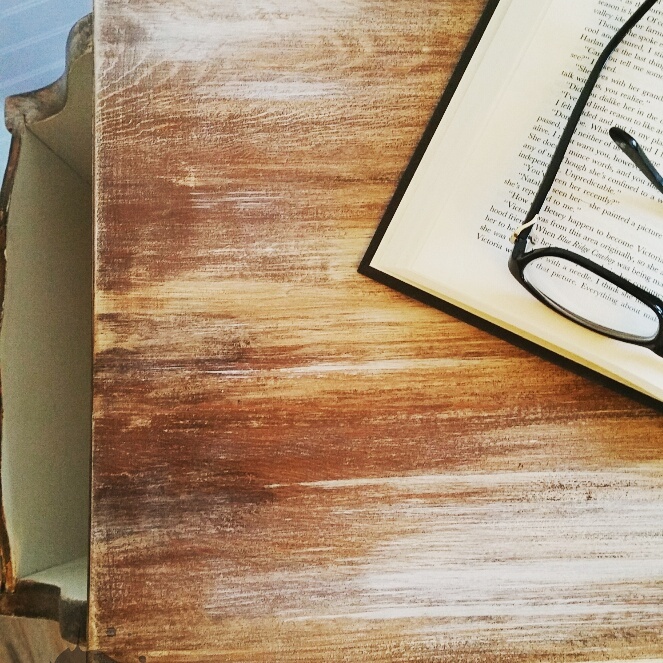 Coffee table, tall dresser, cabinet and an end table… my hands were busy in stain, paper, glaze and some 220 grit. 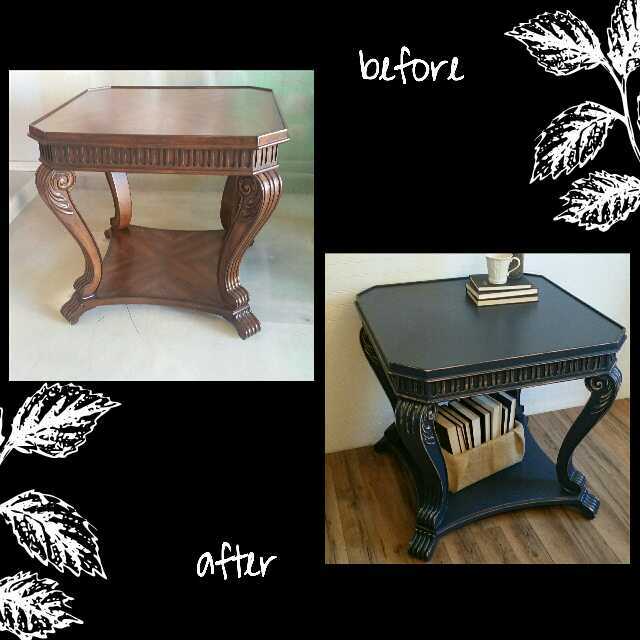 Heavy solid wooden end table refinished in Sherwin-Williams Gale Force and distressed. 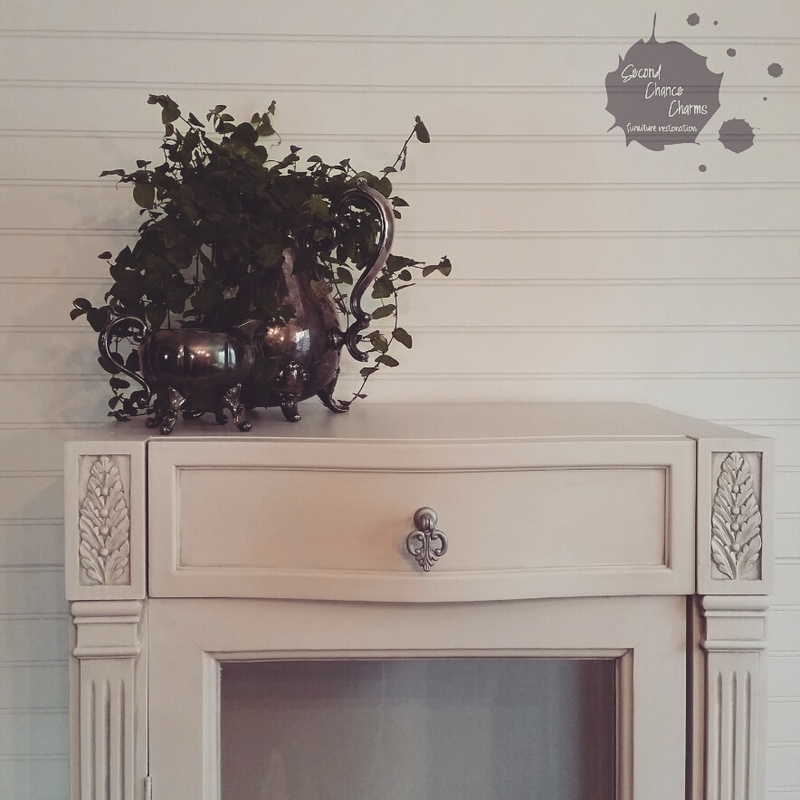 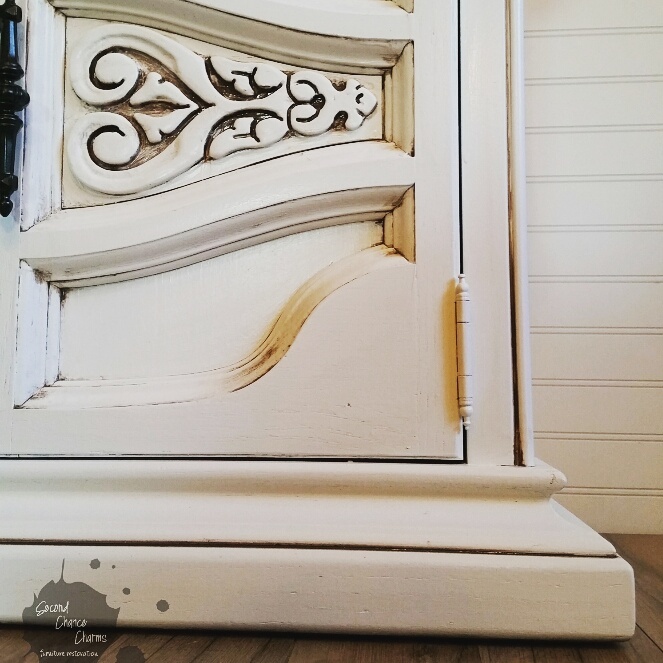 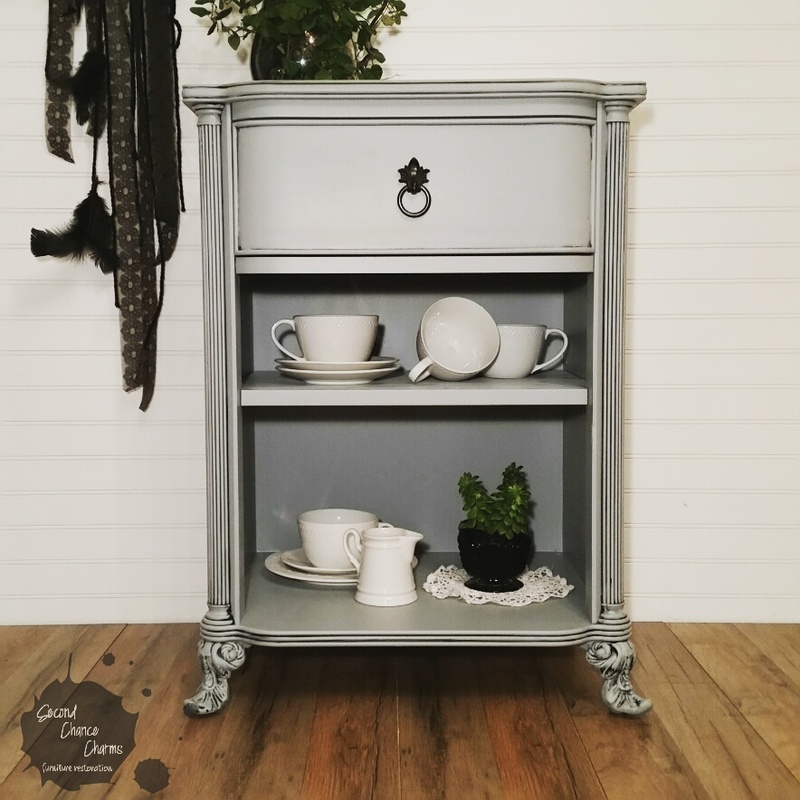 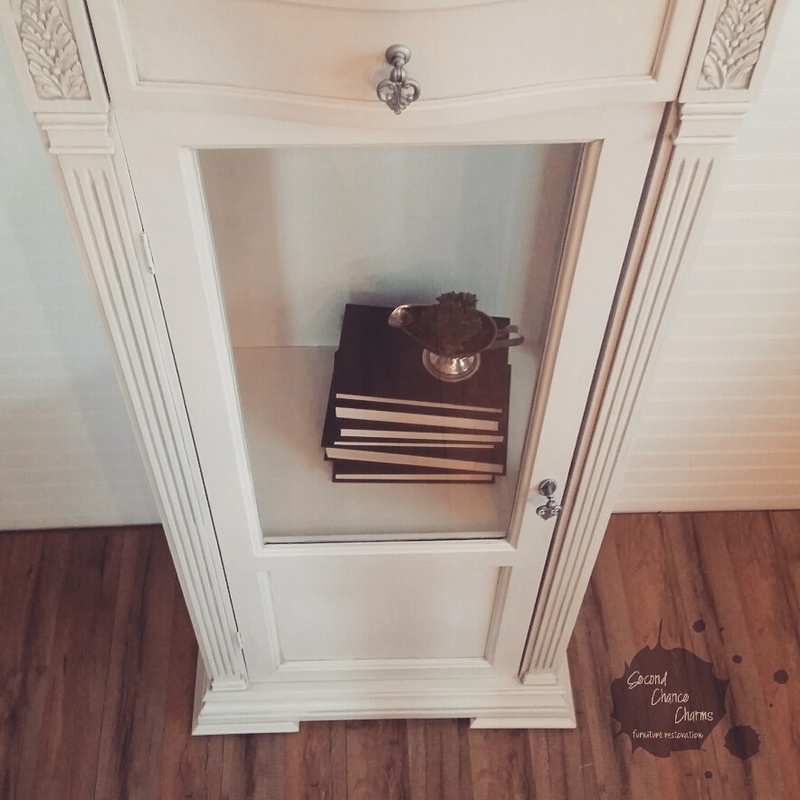 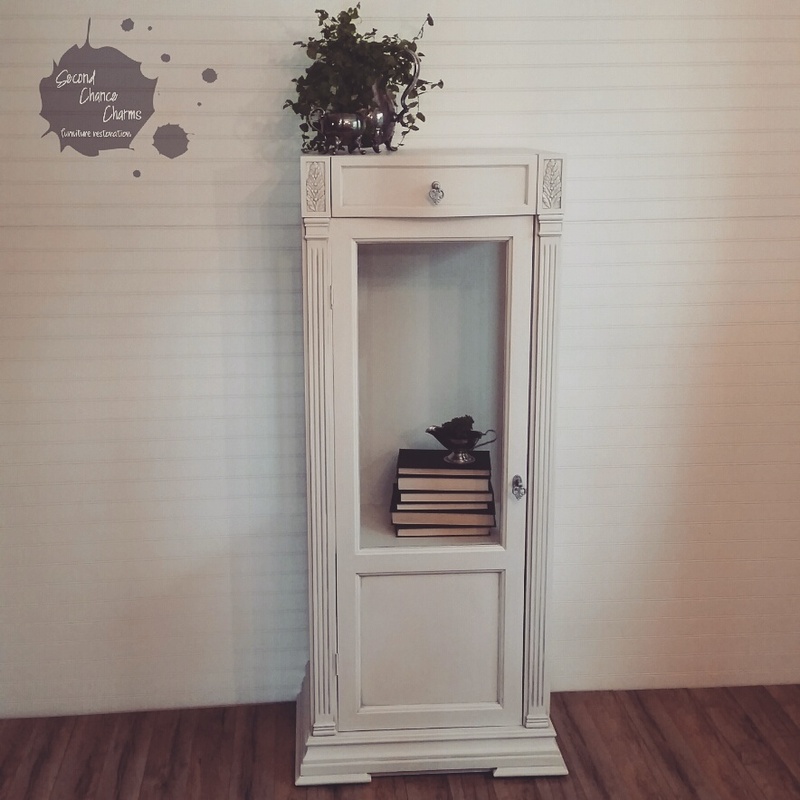 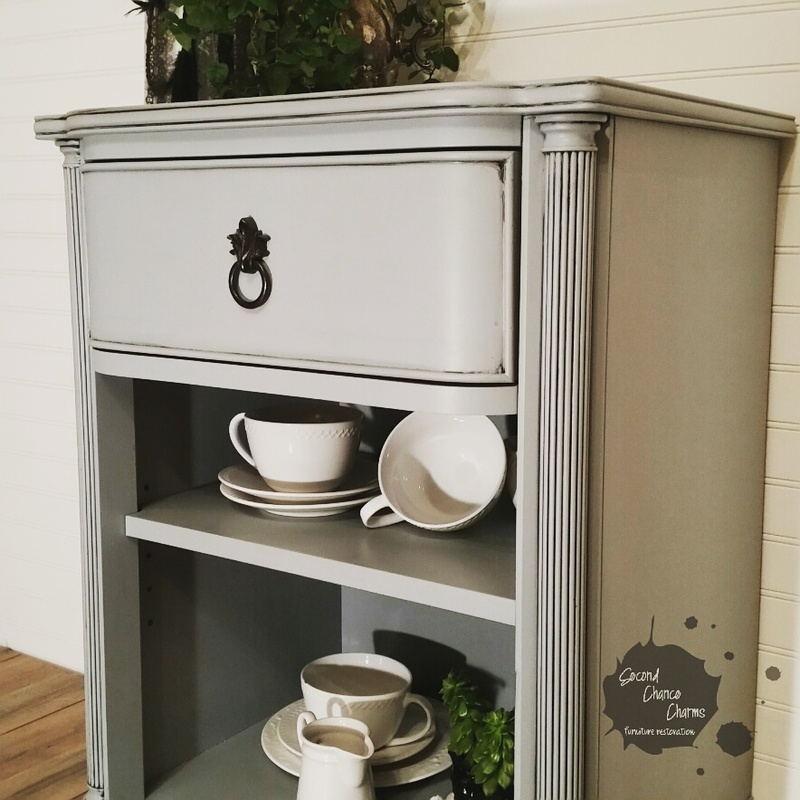 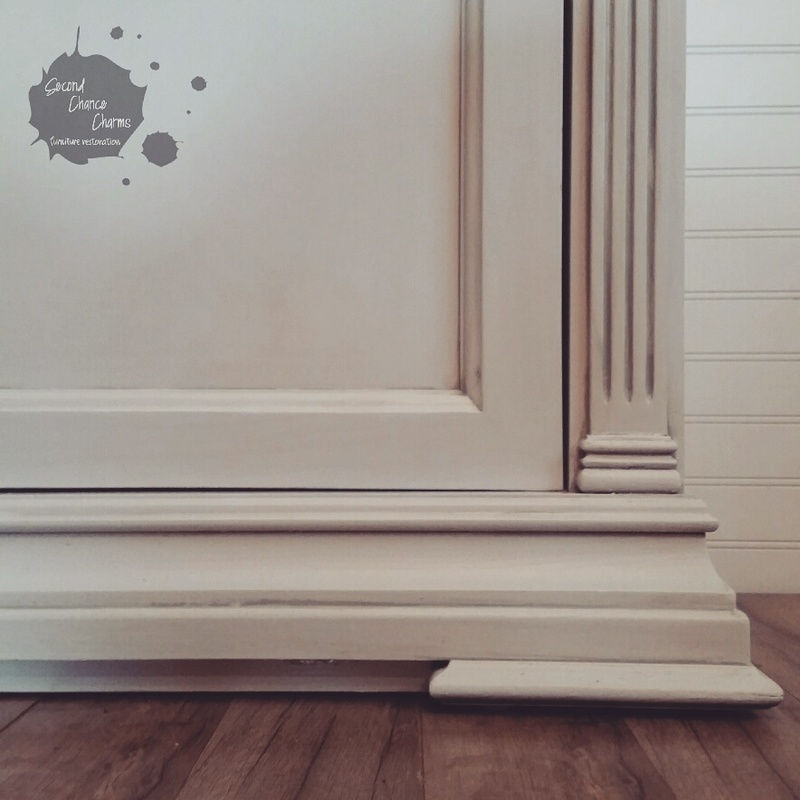 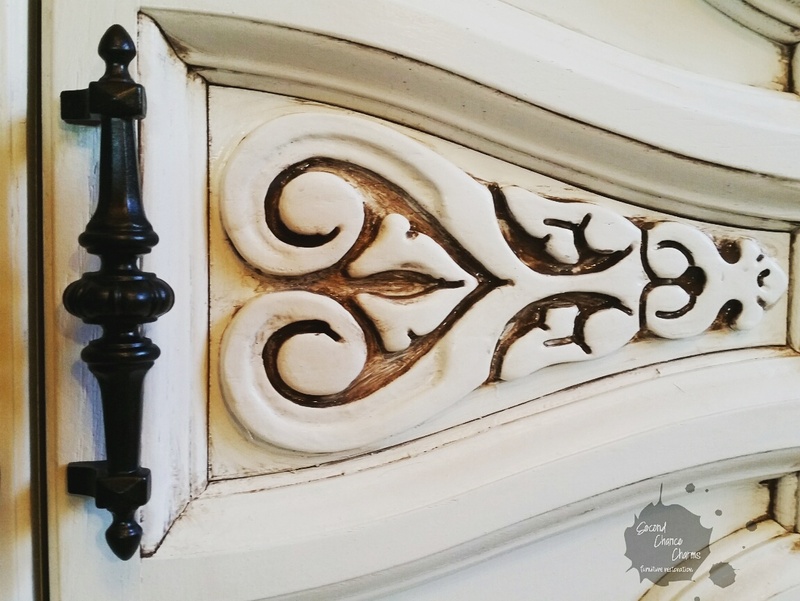 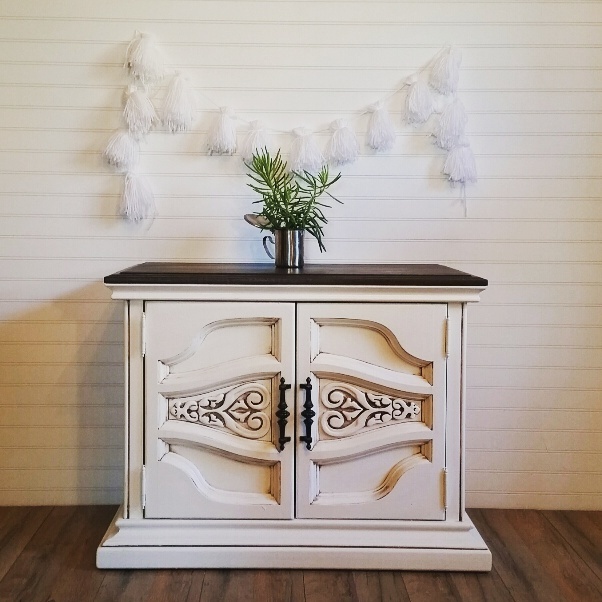 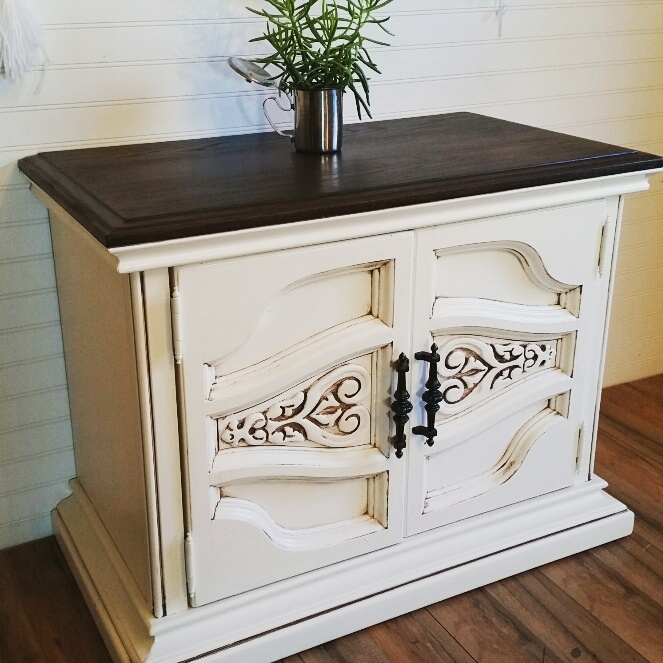 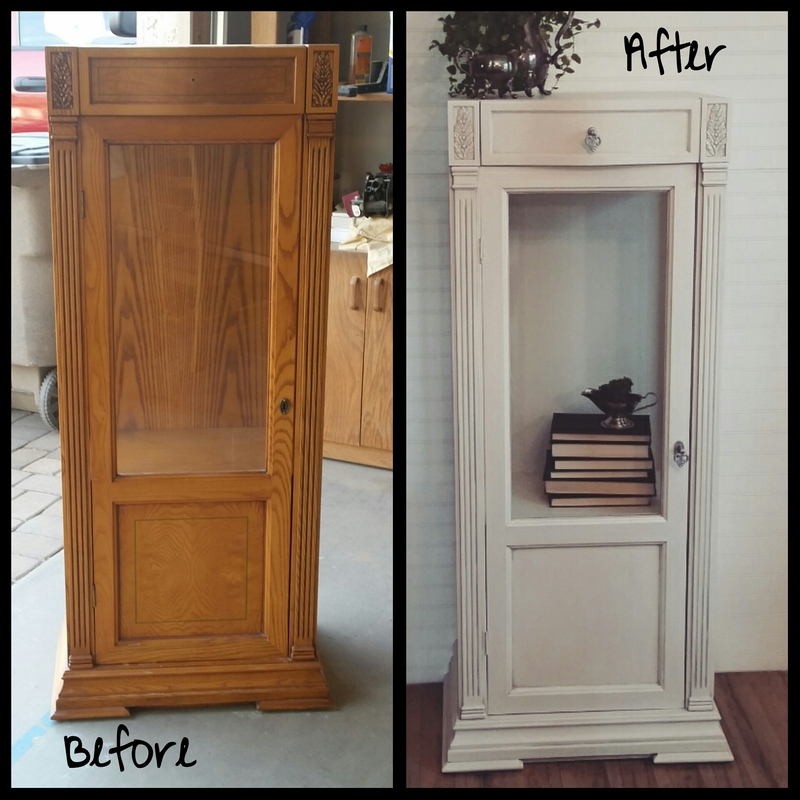 This curio cabinet was refinished in Sherwin-Williams Incredible White and glazed in silver.